We found out my sister was pregnant a few months ago, and we all were so excited to find the gender out. Since we all live in different areas, we were told over Skype. Which was a huge bummer:( So for the gender reveal my sister and brother in law were kind enough to go to Meet the Baby right before we would all be in town for a wedding. Meet the Baby provides a 3D Ultrasound at 16 weeks. We weren’t going to do a big gender reveal party or anything, but my sister did want to make it special for all of us. 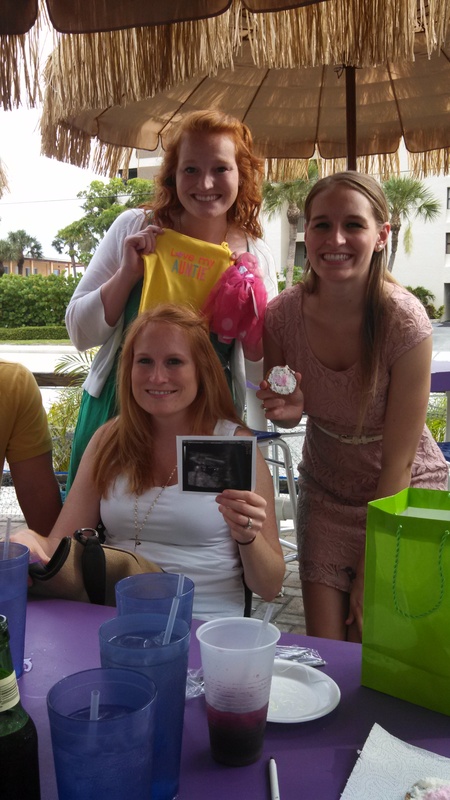 Most of us were thinking it was a boy……coming from a family of girls, I guess that is common. For the reveal……My family has a dessert that we get for all big events. Birthdays, Mother’s Day, Family Trips, etc. We just aren’t cake people for some reason. They come from Publix and are called Yo Yo’s. 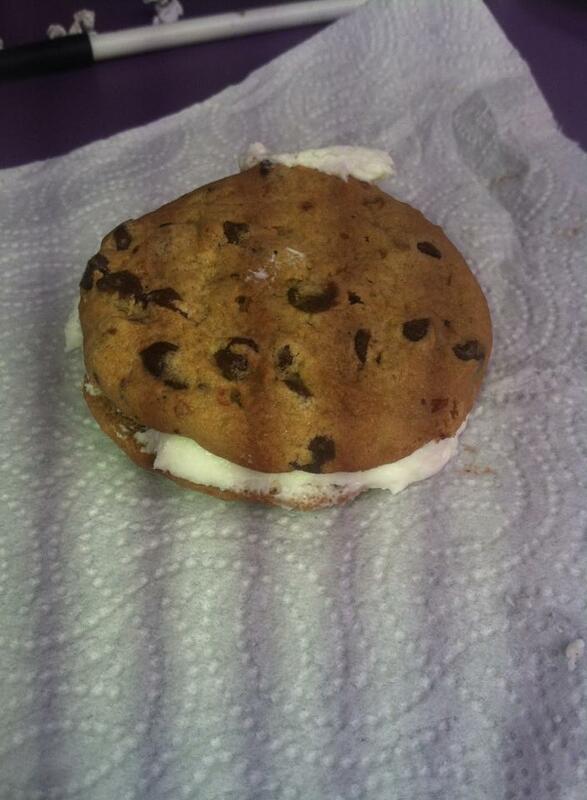 Basically 2 yummy chocolate chip cookies with buttercream icing in the middle to make a cookie sandwich. 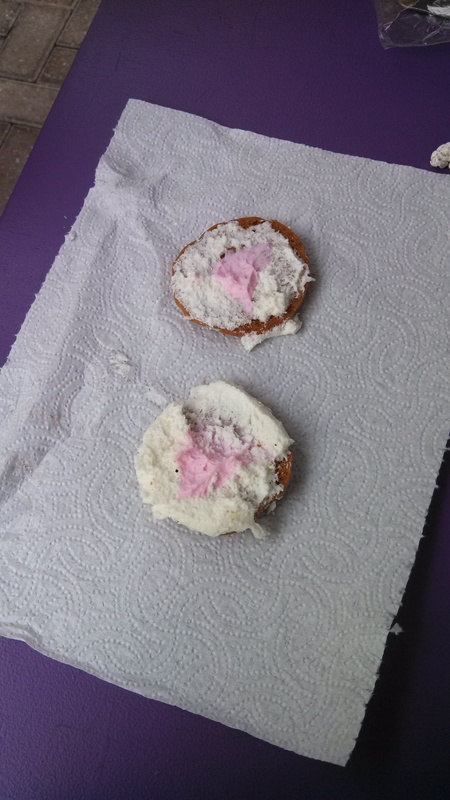 What my sister decided to do was put the pink or blue icing in the middle of the cookie. 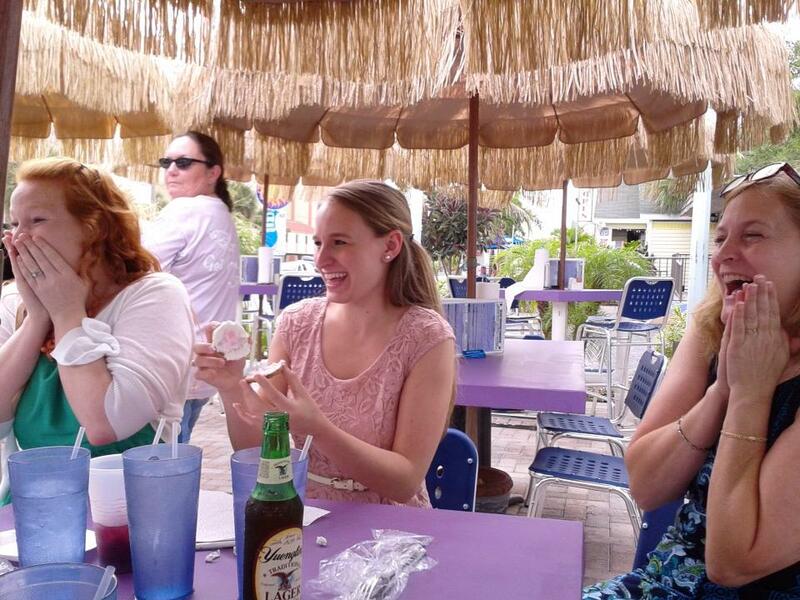 We all had an early dinner before the wedding(they were only having apps) and we couldn’t wait until after we got our food, we needed it then! She is having a girl!!!!!!!!!!!!! We were all wrong! We are so excited to add another girl into our family. My mom is the oldest of five girls, and my pregnant sister is the oldest of 3 girls. 🙂 My dad said he was happy it is a girl, because he wouldn’t know what to do with a little boy. Now we get to buy fun little girl things, and start planning the baby shower! I’m so happy and so excited!!! !